I am whole new in the topic of AR. And of course I already got my first problem where I couldn't find any help in the internet. 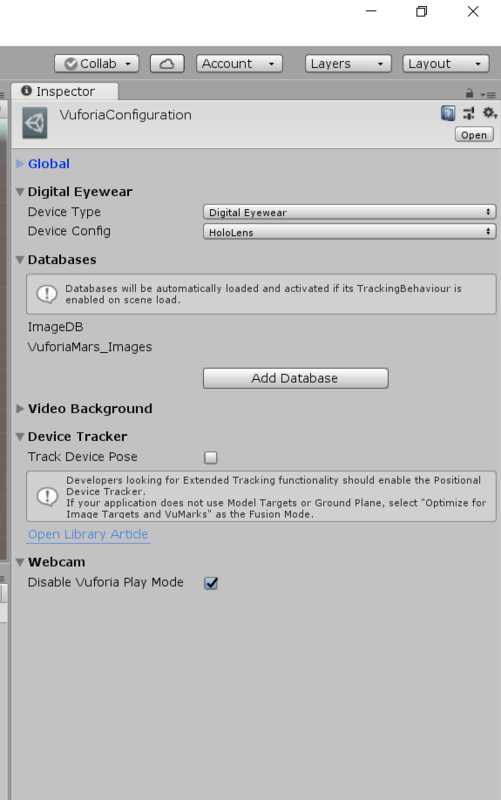 At the moment I'm trying to get to work a simple image recognition with Vuforia. At the first step on webcam, everything worked, as expected. In the next step I was trying to use it on the HoloLens where most tutorials show some clicks and everything's done. But it's not in my case. The connection to the HoloLens is working and it's showing every object which I put in. But the image recognition is not working. What am I doing wrong? 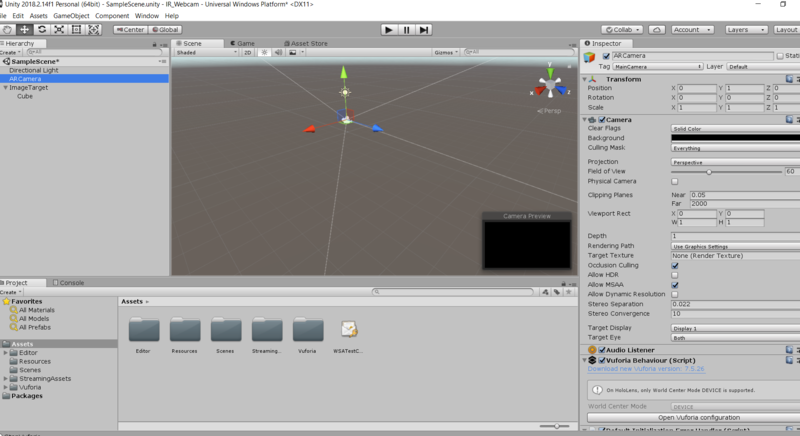 Can I still use the play function of Unity to try my application, or do I always have to build the app and start it via Visual Studio for image recognition? I'm working on Unity 2018.2.14f1 in Windows 10. Also I put some screenshots of my (very simple) project in the attachment. I am using Vuforia Image Detection with Hololens, while scanning an image the model appears at the wrong position in the 3D space. I want that my model should be augmented just above my marker. 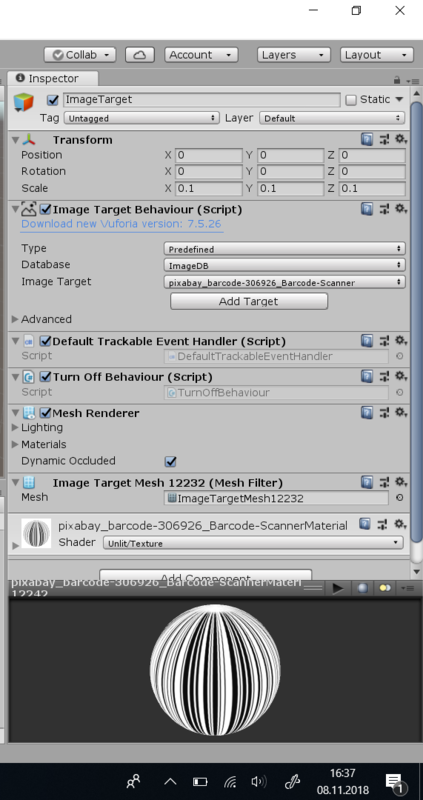 The image target size is same in the database as well as in Unity. Any help will be highly appreciated. Be sure to check the size of your printed targets. For optical see-through devices (such as HoloLens, ODG R7 and Epson BT-200), the printed target must match the dataset's target size exactly, as uploaded to the Target Manager. Recall that the Target Manager works exclusively in the units of meters. This differs from 2D planar targets on video see-through devices where the aspect ratio of the printed target must match what was uploaded to the Target Manager (and is in your dataset).